While Vitamin C-rich lemons are well-known for their brightening and cleansing properties, lemon skincare solutions can also help to treat acne, as the citrus fruit is naturally antibacterial. 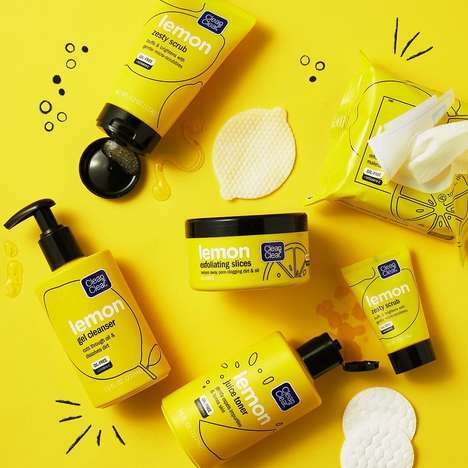 Clean & Clear’s Lemon range features a variety of bold and bright solutions that are based around the humble lemon; this includes everything from the Lemon Zesty Scrub to the lemon-shaped Exfoliating Slices and even a Juice Toner. These products are ideal for balancing out the skin tone without over-drying the skin and leaving it feeling stripped. From strawberry serums and watermelon-infused overnight masks to banana primers, a variety of beauty brands are emphasizing the inclusion of fruit ingredients to appeal to consumers who are seeking out simple, natural solutions to their skincare woes.